$5 Flat Rate Shipping, Free Shipping on Orders $50 and Over. Lumberjack up with fresh cedar, fir, and pine. All of our balms feature our signature blend of butters and oils to strengthen and nourish hair, while soothing and hydrating your skin. The same healthful ingredients, but in slightly different combinations so you can pick the right product for your desired result. Low: The lightest of the balms. Nourishing and conditioning with minimal hold. 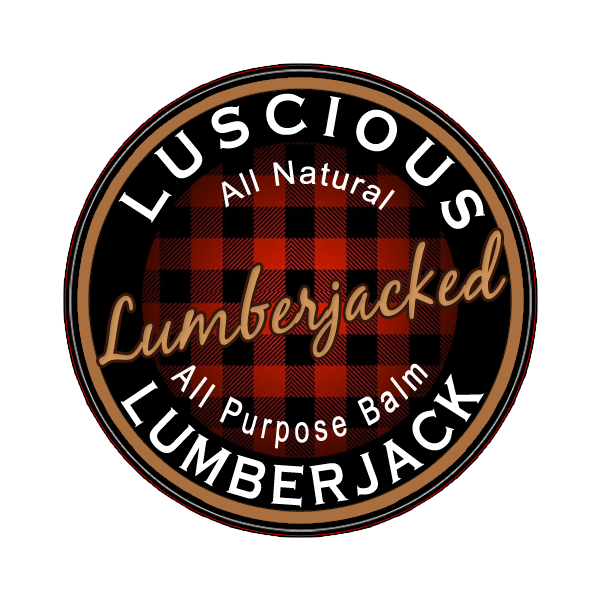 Medium:Heavier balm with more beeswax to add control and manageability. Strong:A sculpting balm for high hold and control. Instructions: Directions: Skim your thumb nail backwards across the top of the balm. Rub the dollop of balm between your fingers vigorously to melt and activate it’s awesomeness. Start from the neck and work your way up, then reverse working from top to bottom. Make sure to cover all facial hair from root to tip. Reapply as needed. Warnings: Store all products in a cool, dark place. Keep out of reach of children. When children are using this product, it should be under adult supervision.For external use only. Keep away from eyes . If you are pregnant, nursing, taking medication, or have a medical condition, consult a health professional prior to use. Some people may have sensitivities to essential oils, test on forearm before use. If irritation occurs, discontinue use. Use only as directed. Items used in the making of this product may contain nuts. Made in a pet friendly home. Consult us about potential cross contamination if you have allergies. Base Ingredients: Coconut Oil, Beeswax, Mango Butter, Cocoa Butter, Babassu Oil, Shea Butter, Jojoba Oil, Broccoli Seed Oil, Argan Oil.